Perched on the rocks next to Porthminster beach sits Men an Mor, so named after the slab of blue elvin, which protects it from the sea. Men is Cornish for rock or stone and Mor means sea. 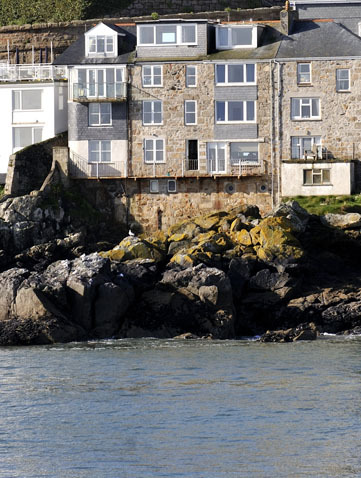 The setting is striking with an expansive view from St Ives harbour to Godrevy lighthouse. Watch the boats sailing to and from the bustling harbour. 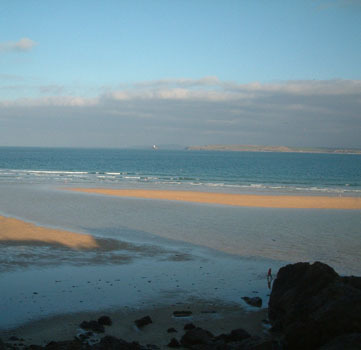 Spot the beachcombers on the golden sands at low tide, whilst at night the harbour lights shimmer across the water. This peaceful idyll is occasionally broken by stormy weather with the sounds and spectacular display of the Atlantic crashing against the rocks below, best viewed from the comfortable window seat with a glass of your favourite tipple. Men an Mor is favourably situated, in a conservation area, on the seaward side of the Warren, the train station and car park are a 3 minute walk. The harbour, only a stone's throw away, provides a full range of eating establishments from award-winning gourmet restaurants to pubs, delicatessens, cafés and takeaways with credit crunch menus. Stroll along Fore St or the harbour and visit one of the many boutique shops selling clothes, home wares, holiday paraphernalia and gifts. 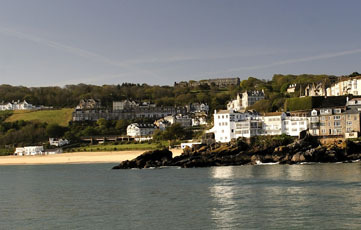 St Ives has long been famous for its artist colony drawn to the area by the fantastic nature of the light. It was at the vanguard of the Modern British movement and this influence is still strongly in evidence today, with the world renowned Tate, St Ives and many good smaller galleries showing an ever changing display of art from post war up to the present time. Music is another important feature of the town, throughout the year the pubs and the Guildhall play host to various bands from local to world music. 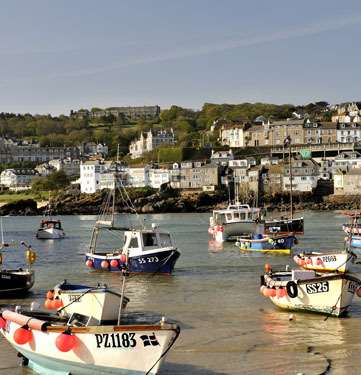 This celebration of St Ives artistic achievements culminates during the 2nd and 3rd weeks of September during the St Ives September festival, a popular draw for both UK and international visitors. 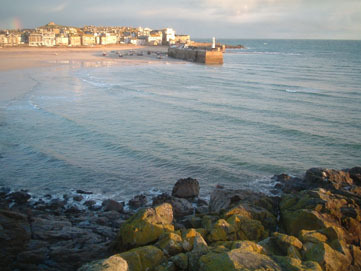 The old town of St Ives juts out to sea and is surrounded on three sides by water, creating almost an island. There are many beaches all with beautiful golden sand. Relax in the sun, take a walk over the sands, paddle in the sea or try your hand at surfing with help from fully qualified instructors. For those who prefer walking, the coastal path is on your doorstep. 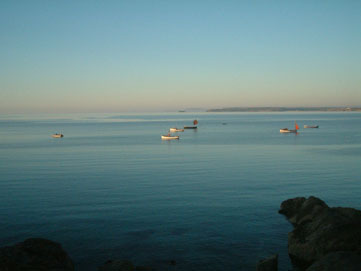 Set out from Porthminister beach and continue to Carbis Bay, then to Hayle and beyond.& Alternatively walk around the coast of the town until you reach Porthmeor beach, then continue along the beautiful and wild coastal path to Zennor, a must for nature lovers with bird and seal colonies and occasional dolphins. Look out for the famous Mermaid on the way and take sustenance at the local pub before the return walk or for those captivated by the warming fire, the last bus back.